If you have been following the NCAA Men’s Championship Basketball Tournament and filled out a bracket with Gonzaga, Oregon, South Carolina and North Carolina in your final four. I want to see your bracket! When the sixteen teams left in the tournament resumed play last Thursday, there were three number one seeds, two number two seeds and three number three seeds with an 11th seeded Xavier looking like the Cinderella team. Well, after this weekends action there are only two number one seeds ( North Carolina and Gonzaga), a third seed (Oregon) and a true Cinderella in seventh-seeded South Carolina. So let’s pick up where we last left off. Thursday Oregon started the “Sweet Sixteen” action with an exciting 69-68 win over an upstart Michigan team. The Wolverines down by two the half went back and fourth with the Ducks until the Green and Gold held on for the one-point win. Gonzaga, the top seed in the West, held off a Mountaineer charge beating West Virginia 61-58 and Kansas destroyed Purdue by 32. 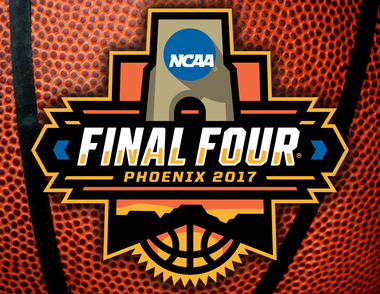 The big upset Thursday was 11th seeded Xavier knocking off the second seed in the West, Arizona by two points. Friday North Carolina the top seed in the South had their way with Butler 92-80, South Carolina destroyed Baylor by 20 points, and UCLA with its’ high-powered offensive attack fell to Kentucky 86-75. The exciting game of the night was Florida beating Wisconsin by one point (84-83)after Gators Guard Chris Chiozza drove the length of the court and nailed a three-point shot at the buzzer from the top of the key in overtime for the win. That set up the “Elite Eight “ action that transpired this weekend. Xavier, the lowest seed of the eight remaining teams, turned into a pumpkin when the Musketeers ran into a buzz saw named Gonzaga 83-59. Saturday night the Oregon Ducks put a lid on the Kansas Jayhawks who were the number one seed in the Midwest Region. The Ducks took control of the game from start to finish and sent the Jayhawks packing with a 74-60 whipping. Jordan Bell was the man for the Ducks blocking a tournament-record eight shots to go with his 11 points and 13 rebounds. Oregon held an eleven point lead at the half and fought off a Kansas desperation come back attempt in the final six minutes of the game for the win. Gonzaga and Oregon made the first half of the “Final Four” a West Coast members only club. The Bulldogs have never been in the “Final Four” before, and the last time the Ducks were in the NCAA championship semi-finals was in the inaugural tournament in 1939, and that year only eight teams were in the entire tournament. Sunday four teams battled in two games to decide the second half of the final four in exciting fashion. South Carolina has never been in a “Final Four” and standing in their way was a familiar foe in Southeastern Conference member Florida. The Gators were the fourth seed in the East, and the Gamecocks were only the seventh seed. Each team had won a game in the two times the schools met in the regular season. The contest was played at Madison Square Garden, and the Gamecocks would go into the half time down by seven points. In the second half, the Gamecocks and Gators would go back and forth until South Carolina’s Sindarius Thornwell (The SEC player of the year), and his teammates took over to secure a seven-point win. Thornwell led the way with a game-high 26 points as South Carolina beat Florida 77-70 propelling itself into the first NCAA Championship Semi-Finals in school history. The second game of the day decided who would get the final spot in the NCAA Championship Semi-Finals and the Wildcats of Kentucky appeared more than ready to take on the number one seeded North Carolina. The Last time these two schools met the final score was 100 to 103 with The Wildcats coming out on top. This time the Tar Heels were ready for Kentucky taking a five-point lead into the half (38-33). In the second half, Kentucky’s Malik Monk and North Carolina’s Justin Jackson and Luke Maye would be key in the nip and tuck battle. At one point in the second half, Jackson was fouled while sinking a shot from beyond the three-point arc and converted the free throw completing a four-point play. Late in the game, UNC went on a ten to nothing run, but in the last 40 seconds of the game, Monk sank a three pointer tying the game at 73. But with 15 seconds left in regulation the Tar Heels immediately in bound the ball, drove the length of the court and guard Theo Pinson found Luke Maye open for a 15-foot jumper that tickled the twine with .3 of a second left on the clock. The bucket gave the team from tobacco road a 75-73 win and a trip to the “Final Four” next weekend in the Phoenix. So, now we have two teams making the first “Final Four” in the history of their schools programs ( Gonzaga and South Carolina), another school (Oregon) making it to the Semi-Finals for the first time in 77 years and the school ( North Carolina) that’s going back to the “Final Four” for a NCAA record 20th time. Saturday, April 1, 2017, South Carolina and Gonzaga will face off to decide which school gets to go to their first NCAA Championship game. Followed by Oregon trying to stop North Carolina from enjoying their second consecutive title game. This year’s championship game will be Monday night April 3rd and again if you say you saw this coming . I want to see your bracket; reach out to me at New@urbanmediatoday.com.